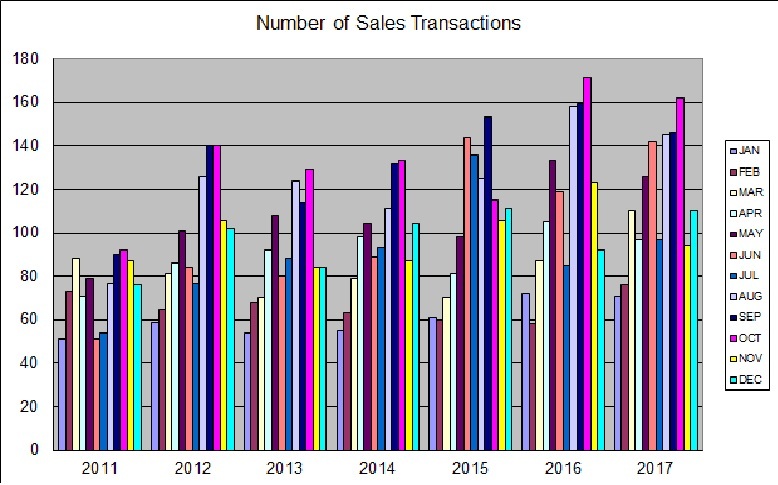 Vail Board of Realtors Graph of Sales Transactions - an overview of 4+ years of sales activity from the Vail Board of Realtors Multiple Listing System (MLS) database. Click on the image to enlarge. Supply and Demand Report - for all of Eagle County or for individual areas within the Vail Valley. Price Improvements Report - currently listed properties that have had a price reduction of 20% or more from their original list price. Auto Notification Directly from our MLS - email report is sent when changes take place in the MLS relative to the criteria selected by our clients and prospects. Listing Activity Report is a history of tasks and activities pertaining to the marketing and sale of my Featured Properties and is maintained for my Sellers to review online 24x7. When a property is listed for sale with Karen Wilhelm the Seller is given instructions on how to access their report so they can review this activity at their leisure. This Listing Activity database is updated daily through the Sales process. These activities include Advertising, Administrative, Miscellaneous, Under Contract Critical Dates and Property Previews, Showings, Open House Feedback & Comments. Advertising Activity Report is part of the Listing Activity Report and shows all promotional activity for your property including display ads in newspapers & magazines, open houses, broadcast email to area brokers & agents, and MLS flyers distributed to area brokers & agents. Agent Showings & Feedback Report is part of the Listing Activity Report and shows the history of property showings and the feedback from the showing agent and/or his client. Property Analysis Report is a list of currently active, under contract and sold properties that are similar to the client's property. This report is updated daily with current MLS information so it changes as the market changes and can be reviewed online 24x7. Clients are given instructions on how to access their report so they can review this information at their leisure.